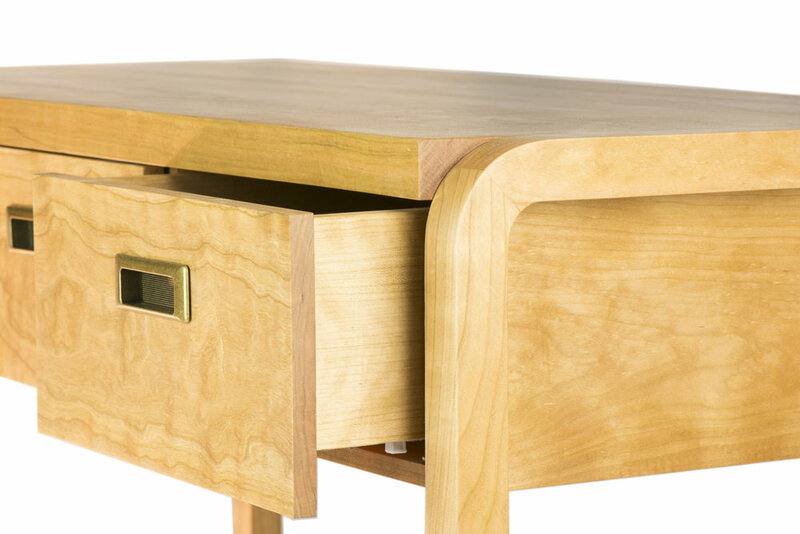 The Violette tables feature a rounded hoop frame and high quality concealed drawer mounts.The drawer faces are cut from a single board to maintain grain continuity, and each piece is handcrafted with traditional solid wood joinery techniques to ensure each table continues looking beautiful for many lifetimes. 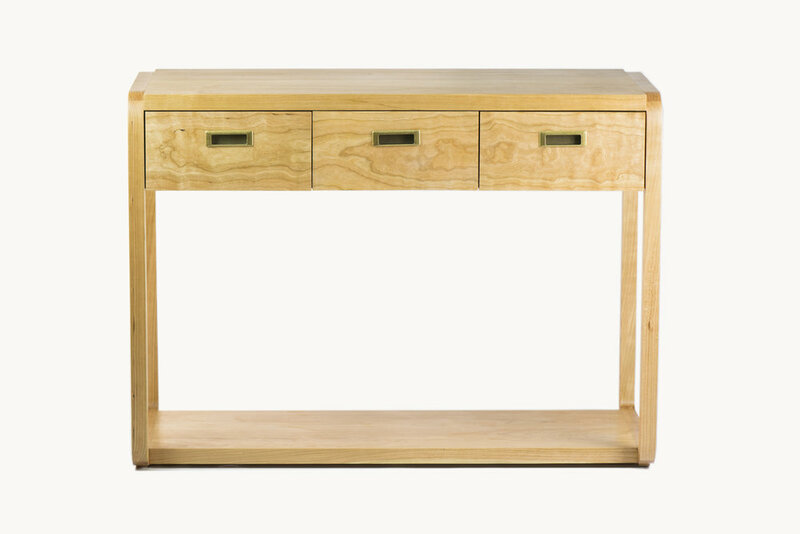 Also available in Walnut, Ash and Maple. Custom sizes upon request. Contact us for information and pricing.